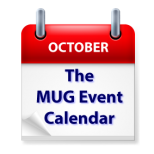 While all eyes will be on Thursday’s Apple Event, there are still be plenty of interesting topics listed on this week’s MUG Event Calendar. Dave Hamilton of The Mac Observer and Mac Geek Gab will speak to a New Jersey group, while his associate Jeff Gamet of The Mac Observer, Apple Context Machine and Daily Observations podcast will meet with a Colorado group, and Apple will have representative Wesley Santiago address a Florida group. Of course, lots of group are also talking about iOS 8, including Oregon Michigan and Australia. Other topics up this week include LaunchBar, security, genealogy, iPhone 6, Parallels and more.